When families need to travel to Grand Rapids for their child's medical or mental health care, the Ronald McDonald House of Western Michigan provides a home away from home so that they can stay together. NPO Showcase - Ronald McDonald House of Western Michigan from GRTV on Vimeo. 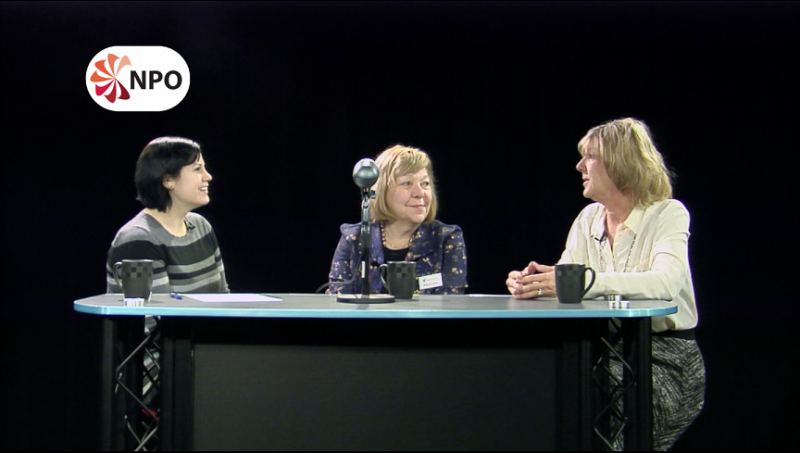 This week’s episode of GRTV’s NPO Showcase features Marcie Lewis and Patty McCormick of the Ronald McDonald House of Western Michigan. Lewis and McCormick discuss the amenities that the Ronald McDonald House of Western Michigan provides for families that must travel to Grand Rapids for their child's medical or mental health care, what the House means to families, and how the community can support this work. The Ronald McDonald House of Western Michigan has been providing a home away from home for families since 1990. Families can be referred to the House by nine of the major medical and mental health care providers here in Grand Rapids. The home is equipped with everything families would have at their own homes - food, linens, laundry facilities, Wi-Fi, a kitchen, and more. These amenities take away some worry for families, so that they can concentrate on helping their children get healthy. Families are asked to consider a donation of $25 per night to stay at the House, but families are never turned away due to inability to pay. Rooms are available on a first-come, first-served basis and can be requested through the Ronald McDonald House of Western Michigan's website. This in a important resource in a medical community like Grand Rapids, and there are many ways that individuals can get involved to support the House. Volunteers and donations are always needed, but the House also maintains a wish list of items to help stock and clean the House. You can learn more about the Ronald McDonald House of Western Michigan in the NPO Showcase episode above. You can also visit their website to learn more. GRTV's NPO Showcase will be taking a short break, and will be back in March with new host Adrian Hirsch.